As the world yesterday marked the 2015 World AIDS Day, World Health Organisation, WHO, has said that the only key to ending the AIDS epidemic within a generation remains the expansion of Antiretroviral Therapy, ART, to all people living with HIV. Meanwhile, a member of the Lagos State House of Assembly, Mr. Segun Olulade has disclosed that no fewer than 470,435 Lagosians are living with HIV virus in the state. In a statement to mark the Day, the Director-General of WHO, Margaret Chan said the expansion of ART has resulted in a stark reduction of AIDS-related deaths. While increasingly effective prevention efforts have reduced numbers of new HIV infections. Corroborating her views Assistant Director General, WHO, Dr. Winnie Mpanju-Shumbusho said that in the effort to help countries implement the “treat all” recommendation, WHO is now presenting an additional set of recommendations on how to expand ART to all – in a rapid, focused, and efficient manner. In a related development, no fewer than 470, 435 Lagosians are living with HIV virus in Lagos State. Disclosing this on the floor of the House while seeking the support of the House for those living with HIV/AIDS, Hon. Segun Olulade said there is a need to unanimously fight the deadly disease not only in the state level but at the federal. Olulade who is also the Chairman, House Committee on Health representing, Epe constituency 11, under the APC auspice added that there is a need to show support to those living with AIDs and that the world aids day gives them opportunity to identify with people living with AIDs. “It is a serious issue that cannot be ignored or treated with levity, no fewer than 470, 435 people have HIV in Lagos State alone,” the chairman said. 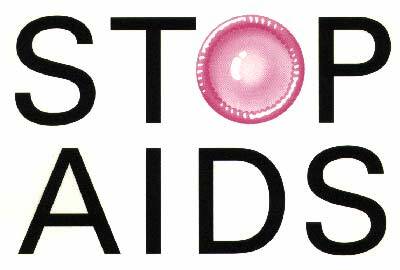 The lawmaker said that the figure was obtained from the Lagos State Aids Control Agency on Tuesday by the committee. The chairman called the state government and all relevant agencies to support enlightenment programmes aimed at stemming the spread of the disease. Yinka Ogundimu,APC-Agege II, urged the government and Nigerians to show care and love for the people living with the disease. Tunde Braimoh, the Chairman, House Committee on Information and Strategy urged the government also look at many others life-threatening disease killing Nigerians. Responding, the Speaker of the Assembly, Mr. Mudashiru Obasa said that Lagos residents needed to be aware that HIV Aids was real and rampant. The House called on the Lagos residents to be conscious of their safety, stressing that HIV Aids is very real and rampant.